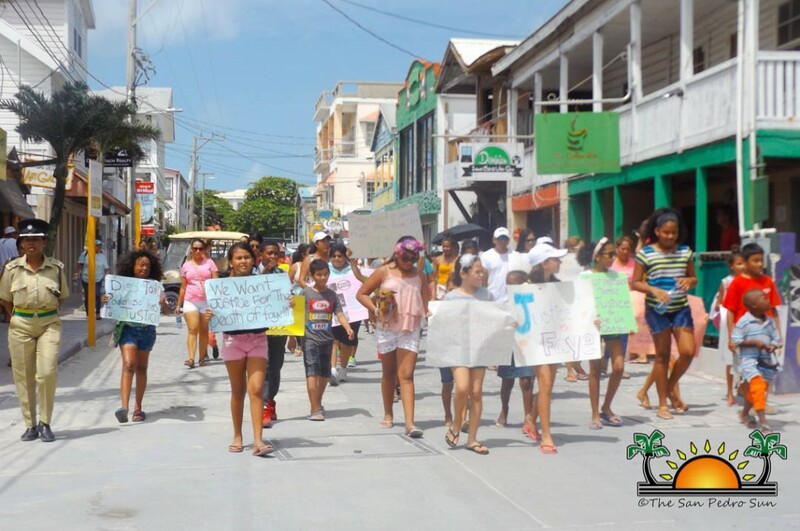 A peaceful demonstration was held in San Pedro Town on Saturday, July 8th following the murder of 13-year-old Faye Lin Cannon. 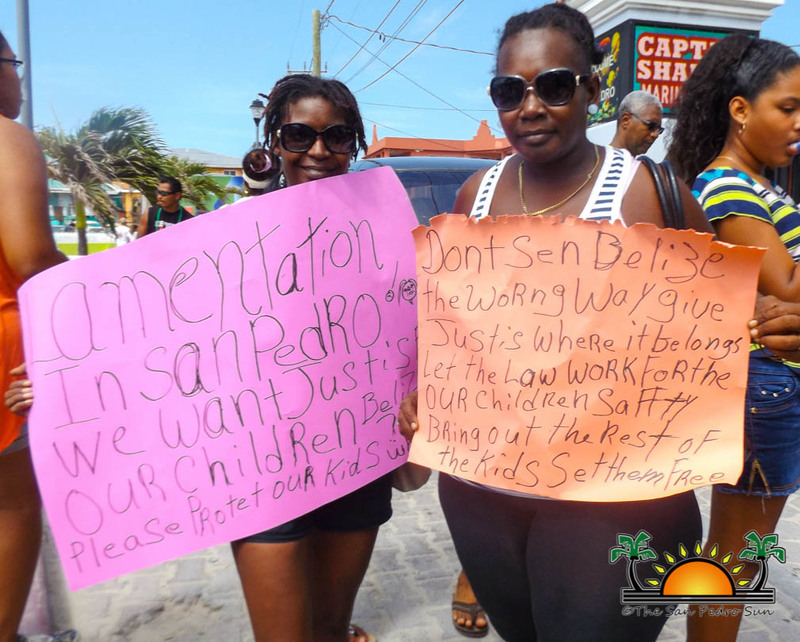 Hundreds of residents convened at the Central Park, calling for justice and demanding local authorities to take immediate action against the culprits. 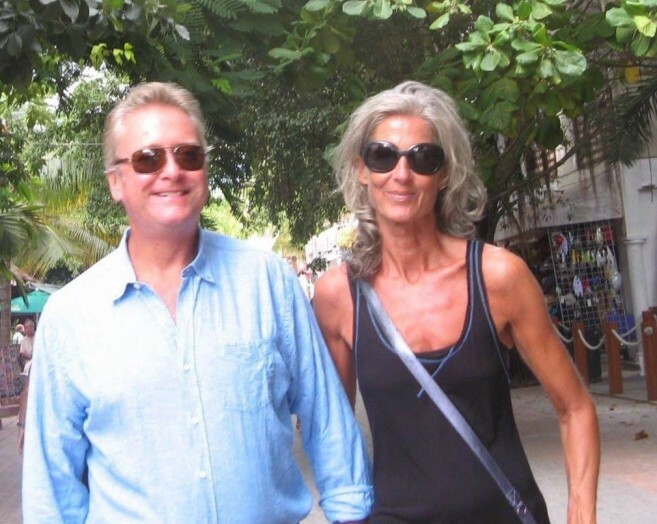 Faye’s adoptive parents David and Anke Doehm, have been in police custody since Thursday, July 7th pending charges. 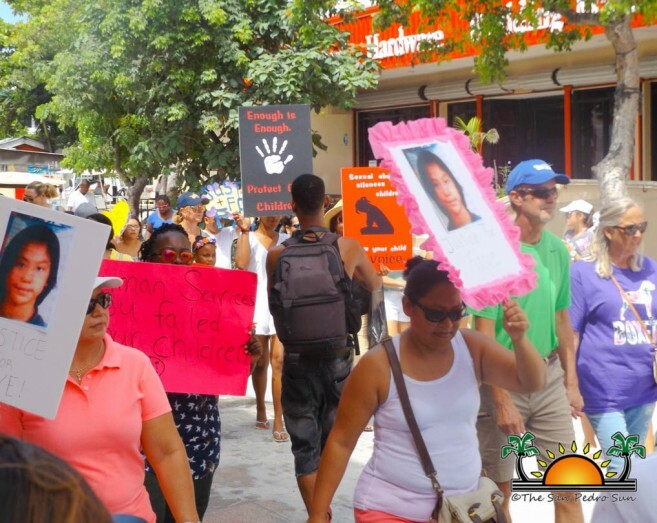 On Monday, July 10th, they were charged for drug possession, and will remain in police custody for another 48 hours as investigations continue into the murder case. The peaceful march started shortly after 9AM heading north on Barrier Reef Drive. 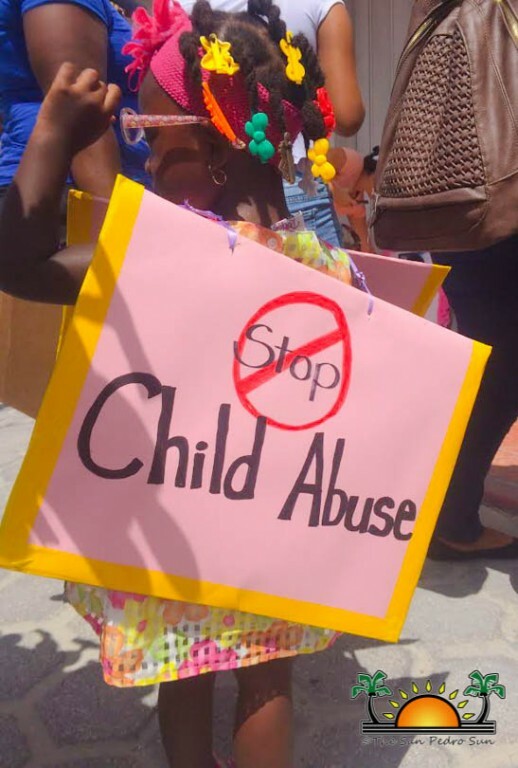 Residents carried up banners with strong messages against child abuse, and calling for the protection of children. The crowd made a brief stop in front of the police station chanting ‘We want justice!’ and then proceeded with the march. 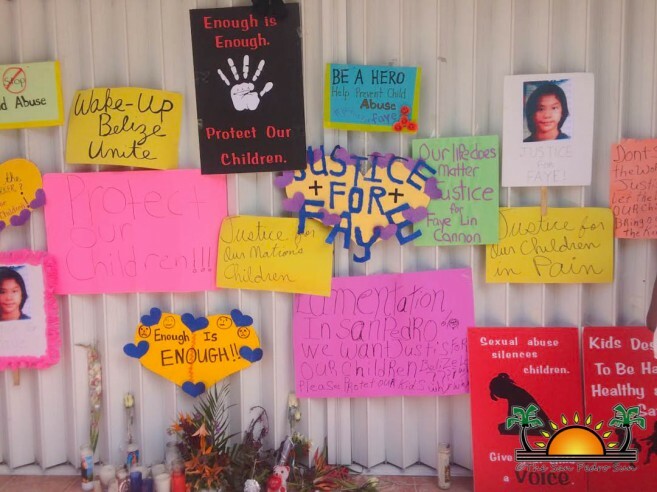 Before returning to Central Park, demonstrators made a makeshift memorial, at Faye’s adoptive parents’ business place. They placed posters with pictures of Faye and messages condemning the heinous crime alongside flowers and candles. 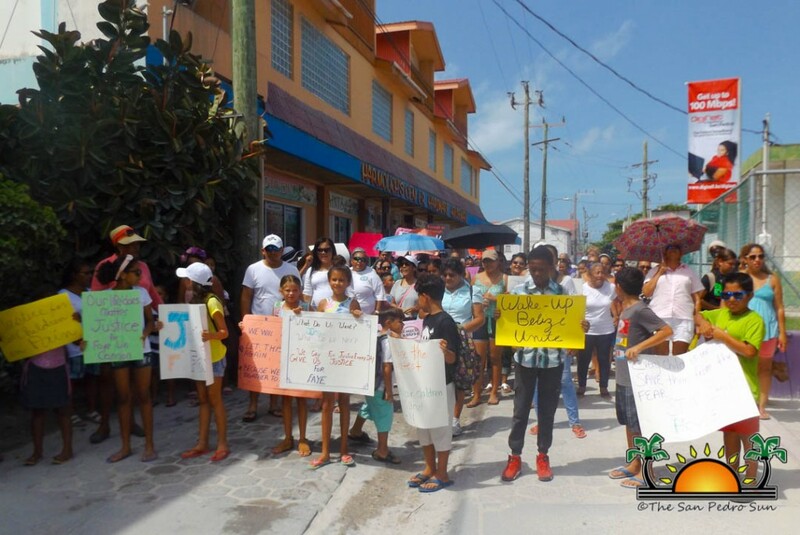 At the end of the demonstration, residents joined in prayers and vowed to create a committee to look after the well-being of island children, who might be suffering in silence. Faye passed away on Monday, July 3rd, and her death was initially treated as ‘sudden death.’ However, the results of the post mortem on Thursday, July 7th, indicated that she had been physically and sexually abused and the cause of her death was due to compression of the chest, causing internal haemorrhaging. Both parents were immediately arrested, and still remain in police custody as the case is investigated.